The scenic hills of Cooper Jack Bay, Providenciales. Villas and residences at Cooper Jack Bay, Providenciales. This page refers to the Cooper Jack Bay residential area. See Cooper Jack Bay Beach. This quiet residential area is found on the high hills and bluffs of the central south coast of Providenciales. 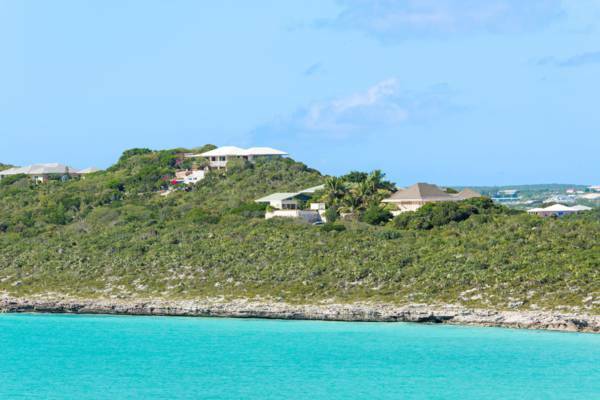 The high ground here offers spectacular views over the turquoise Caicos banks. A small network of canals separates this region from the adjacent Venetian Road, Discovery Bay and Turtle Tail areas. Mainly a low density residential area, a few rental villas can be found here as well. An unfinished marina project and canals are also located in the Cooper Jack area. The remains of a Karst cave that saw a ceiling collapse. 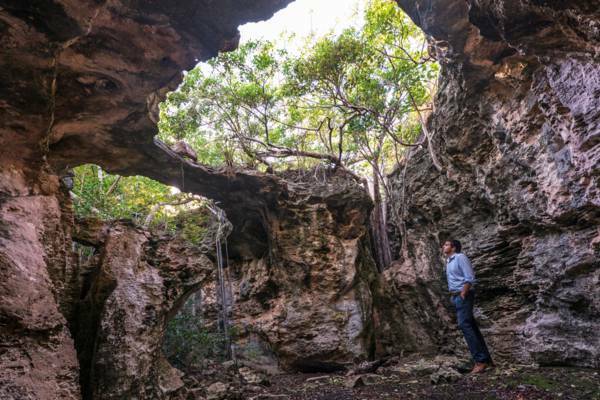 The Turks and Caicos is rife with Karst Process features large and small, and Cooper Jack is home to one small yet impressive site. Found on the limestone cliffs above the beach fronting the area is one more-impressive cave sites on the island. Although no single feature at the site is worthy of great recognition, the variety and number of sink holes and small caves would fascinate anyone with an avid interest in geology. When exploring the area be aware of the poisonous coral sumac that is common to the coast.